An ending is just the beginning. 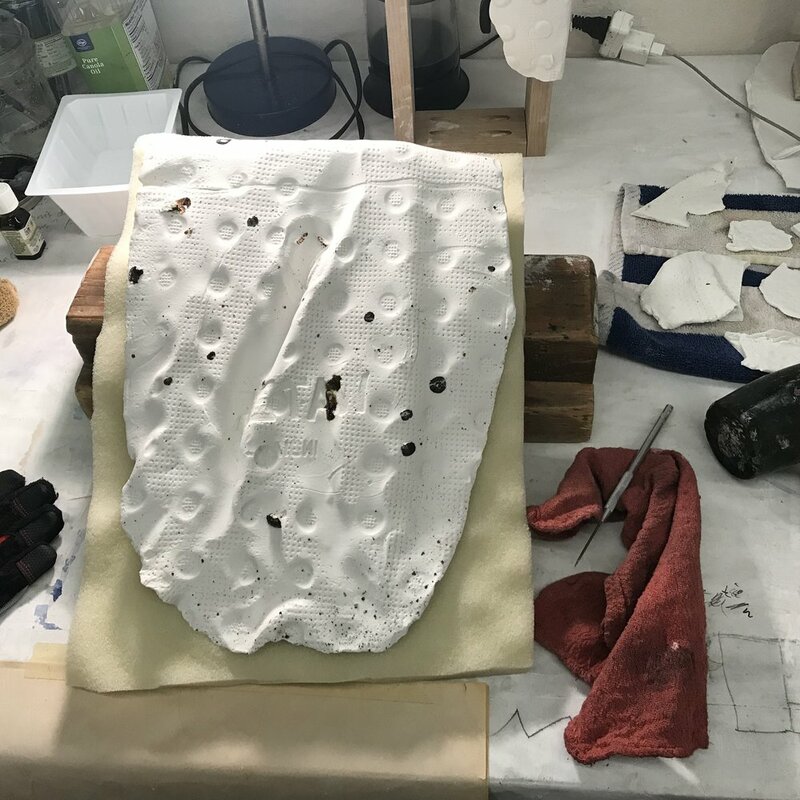 I’m finding that the processes I learned in mold-making class have only opened doors in many new directions, which I look forward to utilizing in the next weeks beyond this semester. It’s exciting to think that we’re finishing the semester this next week, with so many lessons over the past four months. Many techniques were explored, and processes have entered into my work that combine image and object. In class, I advanced my use of press-moulding and tile-making processes in ways that have changed the development of my thesis, experimenting with many techniques in surface and form, and have honed what works and what doesn’t for this body of work with photograph, painting and sculpture. I certainly carved some notches into my belt with techniques that deepen the language of my expression of urban landscapes, in direct impressions of building and ground surfaces to combining image and surface treatment to replicate aesthetic languages of some urban and nighttime environments. 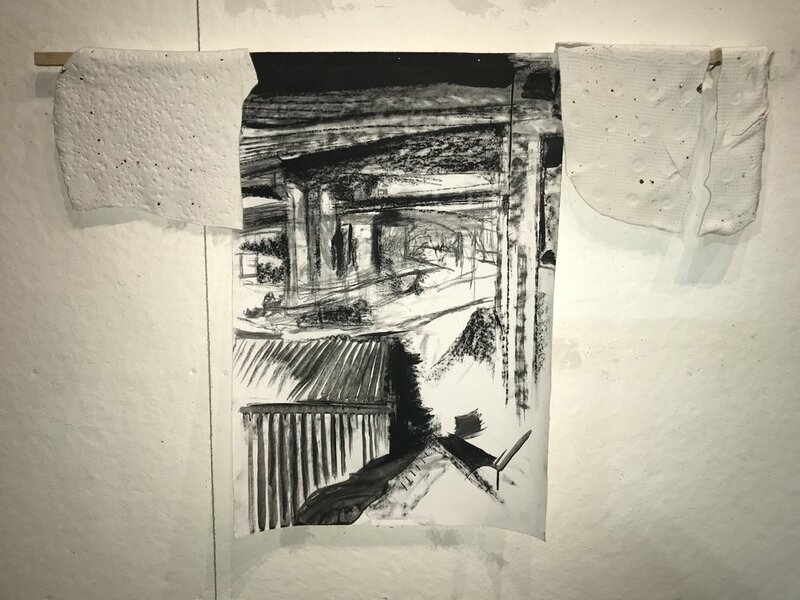 This exploration has allowed me to go through surface and form to explore image, and the potential object as metaphor—for expression of our relationship to the past and present through the architectural elements of the urban spaces we inhabit. 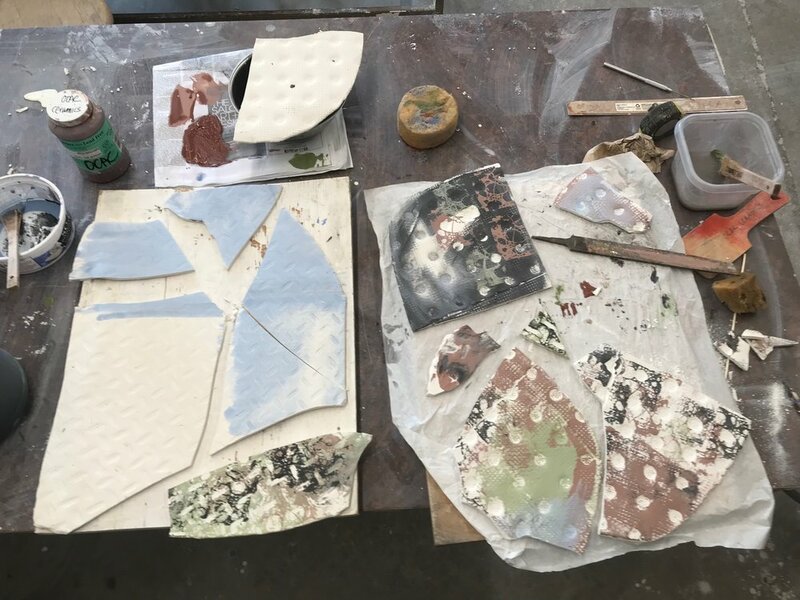 I made discoveries in this work on where processes from different practices meet and overlap (specifically printmaking and ceramics) and about what an object can mean in space versus the impact of image. This exploration has given my understanding of the work I am making deeper dimension and egged me into different directions in work. My continuing directions will be in image on ceramics in silk-screen versions of my photographs, combining underglaze printing with cold-image transfer and drawing and painting techniques, to build complex environments which represent the environment from which they’re drawn. I hope to express a complex enough representation of what is expressed through the urban environment, the representation of our best hopes and organizations as fragile and fractured as they become once manifested; our inner complexities made visible as they are in our city foundations, buildings and urban spaces. Arrangement 1: Charcoal on canvas with porcelain (on wood). Arrangement 2: Porcelain with muslin. Arrangment 3: Porcelain stacks on podium. 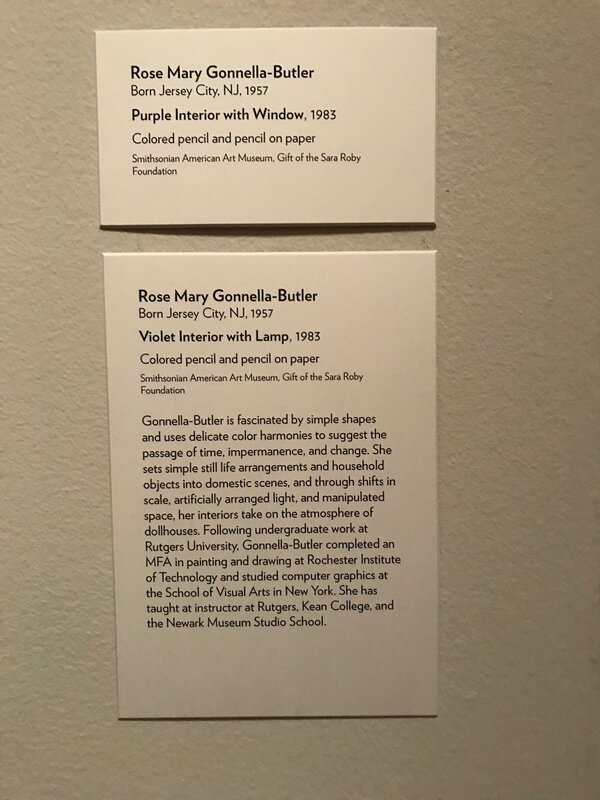 Here’s an idea I had been considering and brainstorming for spotlighting my work on display, already cleverly executed by British ceramics artist Phoebe Cummings. While I discovered Phoebe’s work (and then use of this lighting schema) via Facebook, I have been seriously considering for many weeks how to limit spots for my work to create effect of chiaroscuro and dimensionality in my pieces (the porcelain has more visual interest and information when lit so that textures are and shadows are increased). I will continue to work on incorporating dramatic lighting, which amplifies contrast, as an element of my work. Below are some bonus Hopper-y photos from a stroll downtown, I’m always on the look out. (on porcelain) to test shrinkage. At Cone 10, my New Zealand clay body shrank approx. 0.25-0.40 in. Good to know, as I am constructing the hanging corner pieces and their shrinkage affects their operability! 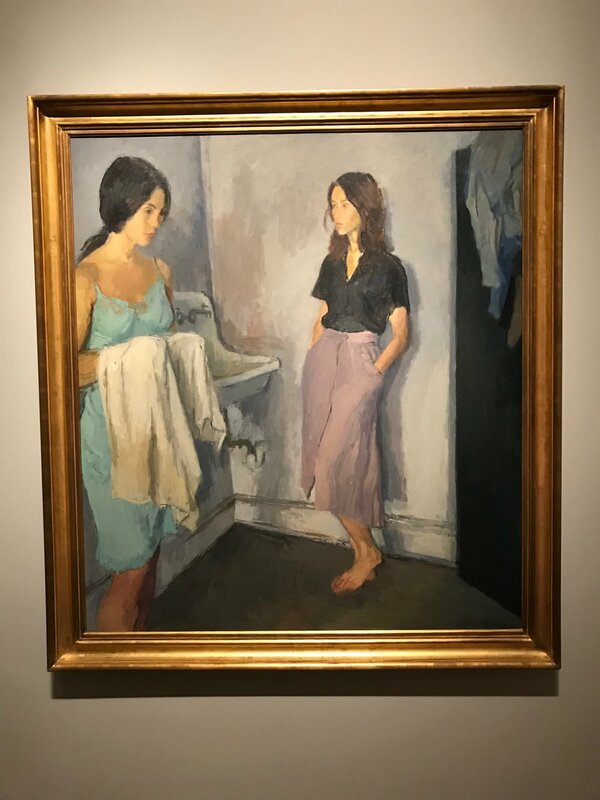 I also took time this week to do research through looking at work in the Portland Art Museum’s presentation of “American Realism.” The content of this show is very much in line with what I’ve been studying about light, composition and content. 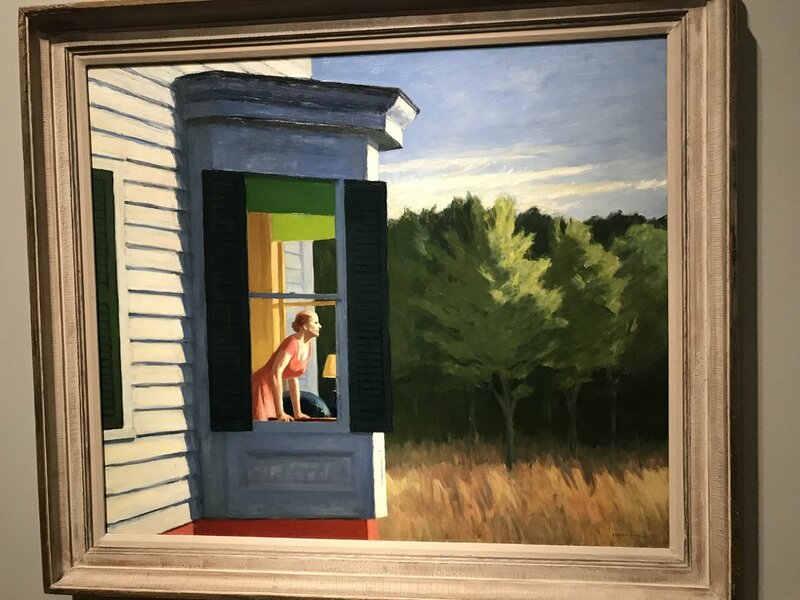 I saw some Hopper and was able to look at the light captured in his painting, and his technique (see below). 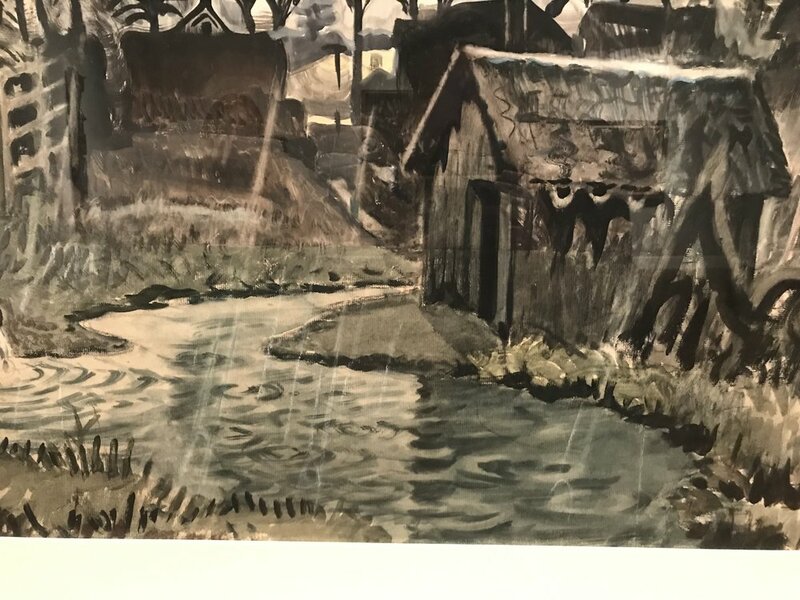 I also saw a piece from Charles Burchfield that reminded me of some of the material and content questions I am working in drawing and painting: use and impact of black and white value, combination of dry and wet media (particularly charcoal and gesso), and expressing emotion in a landscape. 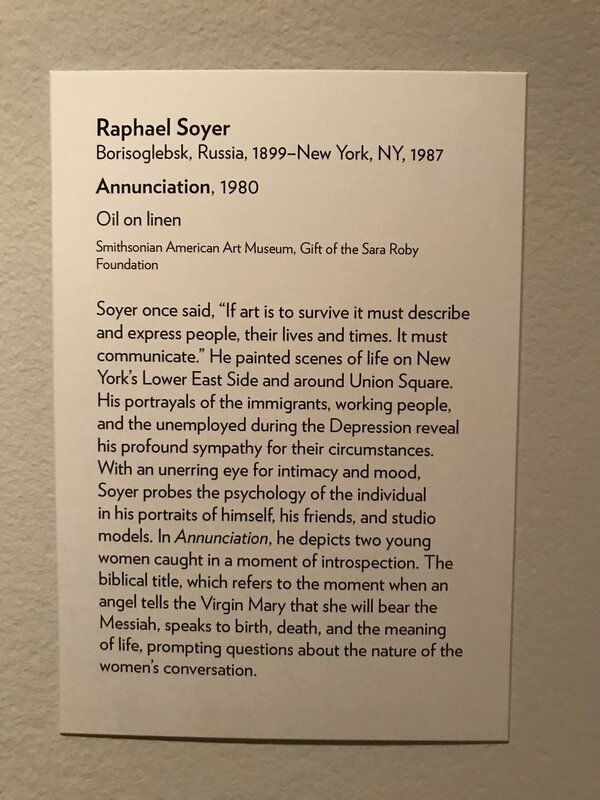 It was a good show for me to see since the subject was frequently American landscape interpreted through focus on significant yet mundane details of the environment and light interplay within these vistas, and a masterful use of various media. 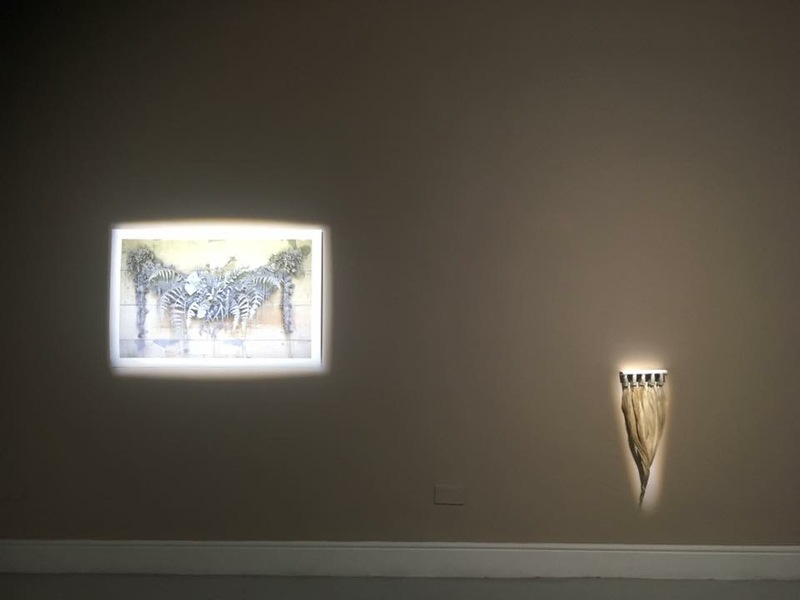 It was inspiring to see other artists’ interpretations of their environment and seemed very relevant to my studies. Phew! We’ll see where all this visual information, research and material studies take me. I will continue to use these techniques in work with combined image and surface treatment over the next few weeks. I can’t wait to get further with these processes into some pieces which speak of my love of city and the dark and light, at night. Stay tuned for more progress! Mine will be a maker’s holiday, with gifts from the studio process.